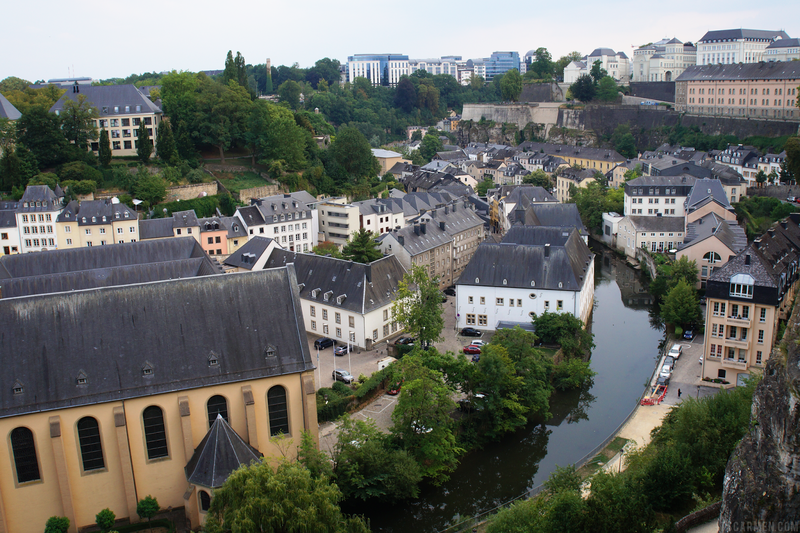 Luxembourg is the capital of the small European country of the same name. To avoid confusion it's often called Luxembourg City. The country borders Belgium, Germany, & France so it's the ideal destination if you're heading to any of those places on your trip. The city is known for its medieval fortifications & is one of the largest fortresses of modern Europe. Pretty cool, huh? Luxembourg is a city full of history & beauty. I only spent the day there but was able to experience enough to whet my appetite. It was a sweltering day -- the kind of hotness that leaves you sticky & uncomfortable. Humid. It was so different compared to the influx of rainy & cloudy days spent in Copenhagen & Amsterdam. 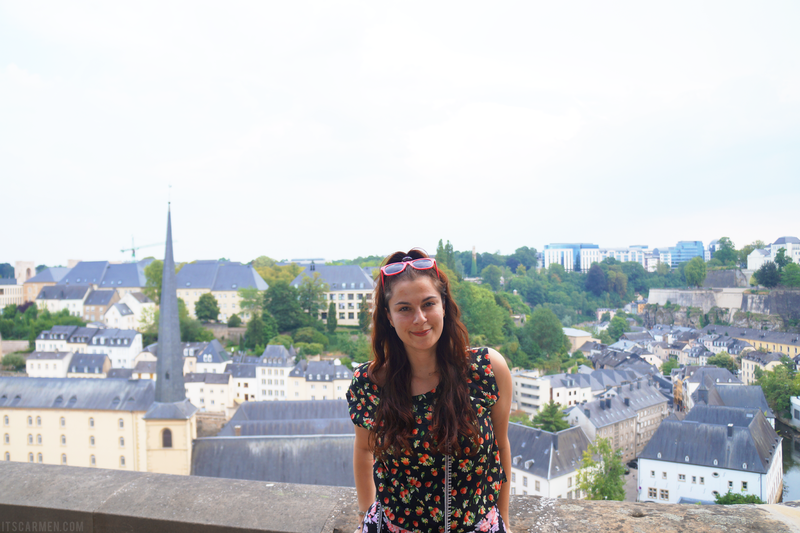 I viewed several of Luxembourg's most well-known sights. The Cathédrale Notre-Dame (Notre Dame Cathedral) is the only cathedral in Luxembourg. 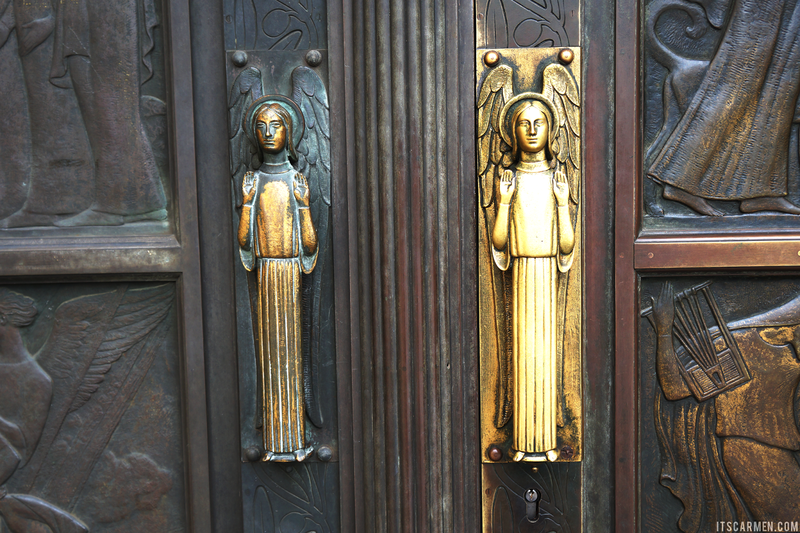 It's a beautiful church with Gothic architecture & really cool door handles. It's quaint but definitely worth a look see. The Monument National de la Solidarité also known as the Monument to National Unity is centrally located with a golden woman atop the long column; it's also a popular tourist destination. You'll find a crowd of people around it taking photos. 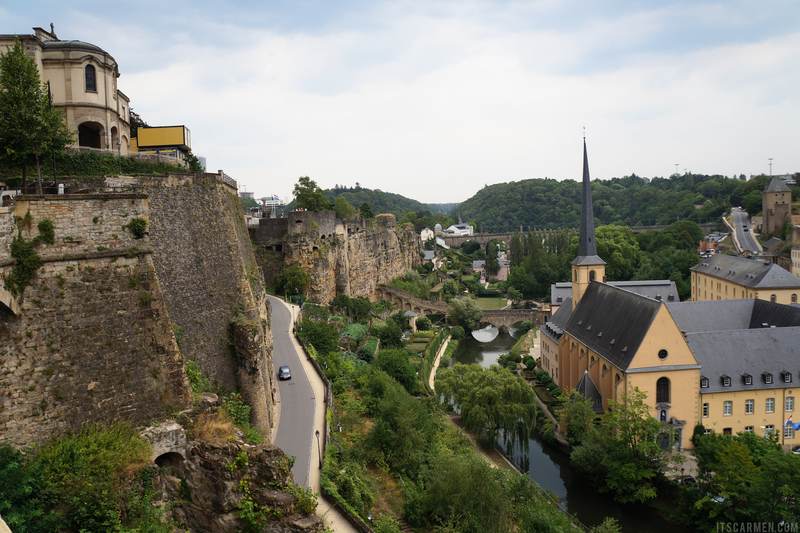 Le Chemin de la Corniche is a must-see because it overlooks the old city; that was probably my most favorite thing in Luxembourg -- being able to witness so much history in one spot. I'd recommend spending one to two days in Luxembourg if you're making a visit. It's the perfect amount of time so you can enjoy all the sites without feeling overwhelmed. I was ultra excited by the amount of bakeries & scrumptious, colorful goodies. I mean seriously. They're mouthwateringly beautiful. They're so magnificent that they're almost too pretty to eat. Almost. I definitely ate my fair share of pastries. But can you really blame me? Wow, looks like you've had a nice time! I just had lunch, but then I saw the last picture and I got hungry again... The photos turned out great though! I'd love to see Luxembourg one day. WOW awesome photos,but its the dessert that caught my eyes the most,cant blame me its 5 am and Im hungry.xoxo Bing. Holy cow, these photos are gorgeous! So jealous! 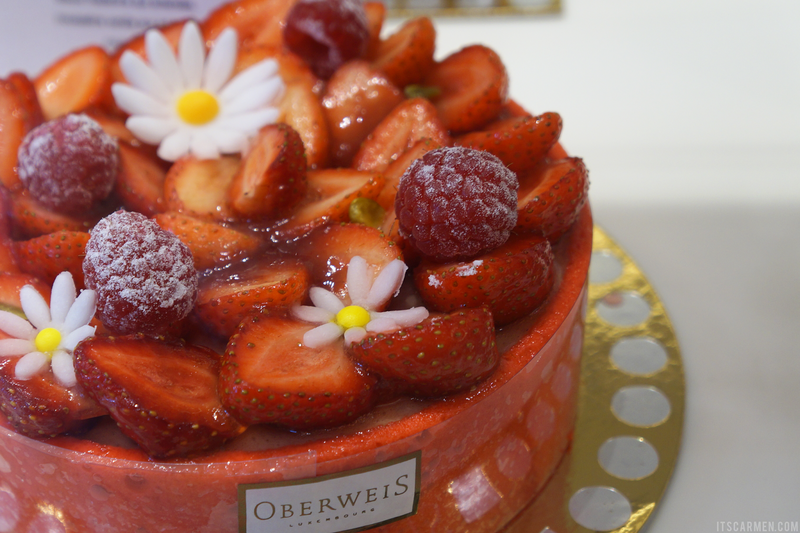 I really want to travel to Europe :( Also, THAT CAKE. P.S. Thank you so much for reading and leaving a comment on my blog, it means a lot to me! This city looks so charming! I definitely want to travel there some day. I know this country because I leave beside it! Anyway, I haven't been there in ages and now that I see your photos I think I should really visit it again when I'm back in Germany. Wow! lovely city. Great post! I have actually never been to Luxembourg even though I don't live that far away from the country but it looks like a cozy city/country for a weekend get away! Looks like an amazing trip! You are so stunning in your photos! These photos are stunning! Looks like such a fun time. I've never been there but I would love too, it looks so beautiful. Thanks for sharing your pictures!! I feel like I am right there thanks to these beautiful photos! And that dessert… umm why aren't I near that lol! Luxembourg looks beautiful, really scenic! Oh nice. Did you have anything you especially liked about Luxembourg, Emma? I've never been to Luxembourg but from the photos it looks really beautiful, the houses almost look like something from a fairytale. That cake looks really good too! Sounds like you had a lovely day, thank you for sharing these pictures, ive aqlways wanted to go and now its climbing up my list!